A web-based program that allows you to store, edit, and manage citations. Citations from many databases may be imported into your online account directly or from saved files of references. Works with Microsoft Word (requires free Cite While You Write plug-in) to allow you to automatically create in-text citations and bibliographies in a choice of publishing styles. 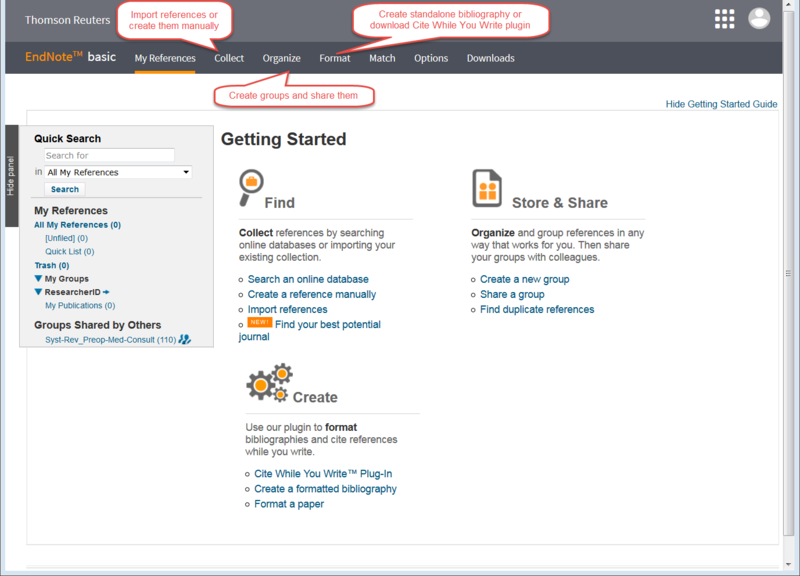 Allows online sharing of folders of citations for collaborative projects. Sign up for an account from a computer on campus or by clicking the link above. 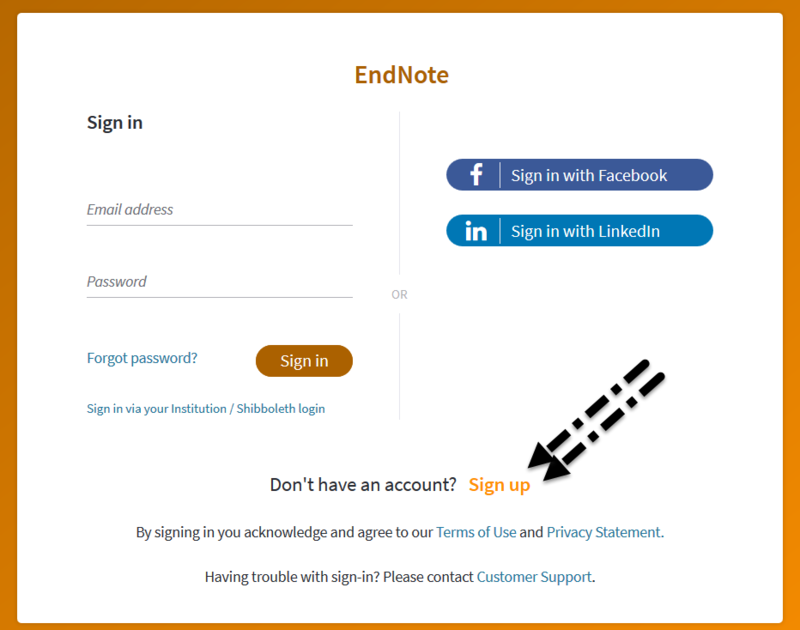 You can use any email address with your EndNote Basic account. By signing up on a campus, via the link above or from within Web of Science, you will have roaming access for a full year before having to re-authenticate your account. In order for EndNote Web to work with Microsoft Word, you must download the Cite While You Write plug-in. Find your library liaison or submit a question to via the Ask Us page.